A facelift, also known as a rhytidectomy, can improve the most visible signs of aging caused by the effects of gravity, stress and sun exposure. The procedure consists of removing excess skin and fat, tightening underlying muscles and re-draping the skin of your face and neck. You should discuss your expectations with your plastic surgeon, but keep in mind that plastic surgeons are doctors, not magicians. Here's what to expect after a facelift. Expect to look worse before you look better. Do not panic; this is normal. There will be swelling and bruising. As swelling and bruising fades, you will begin to see the results. Keep your head elevated for two to three days to minimize swelling and to speed recovery. Do not underestimate the importance of head elevation. It will reduce your recovery time. Failure to do so may prolong recovery and may create disturbing facial asymmetry. Following surgery, your entire head will be bandaged. The bandage may feel tight at first because it is meant to apply an even pressure to your face, neck, and head to minimize bruising and swelling. The bandages are usually removed one day after surgery. You may shower and shampoo after the dressings are removed. You may feel some tightness and numbness on your face and neck. This tightness generally resolves within two months. The feeling of tightness is usually due to swelling. As the swelling goes down, your skin will loosen and then stabilize. Do not become alarmed that the facelift didn’t work. 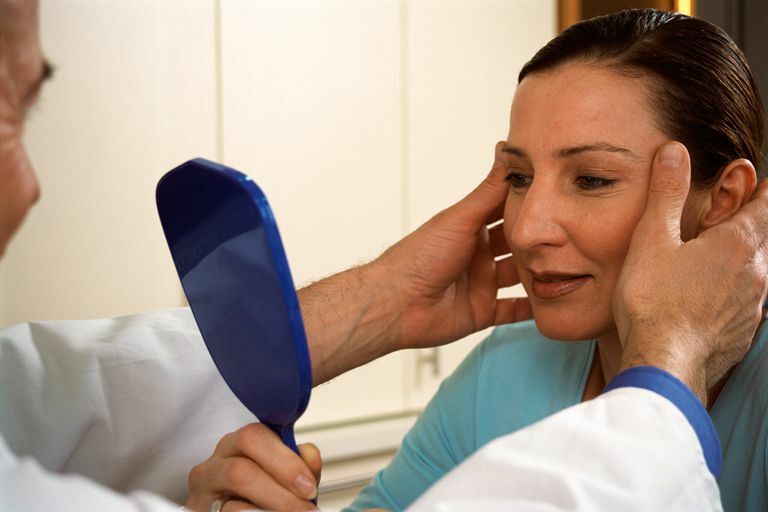 It is normal for the face to look less wrinkled initially after surgery due to swelling. Numbness may persist for several months and will gradually improve. Monitor your incisions for signs of infection: spreading redness, swelling, tightness, pus or drainage, excessive pain, increasing warmth. A fever of 101 degrees Fahrenheit or greater may also indicate an infection. American Society of Plastic Surgeons. Facelift Recovery. Hidalgo DA, Stuzin JM. Rhytidectomy. In Evans GRD, ed. Operative Plastic Surgery. New York: McGraw Hill, 2000. Mentz HA. Multilayer Rhytidectomy. In Evans GRD, ed. Operative Plastic Surgery. New York: McGraw Hill, 2000. Thorne CH, Steinbrech DS. Facelift and Brow Lift. In McCarthy JG, Galiano RD, Boutros SG, eds. Current Therapy in Plastic Surgery. Philadelphia: Saunders Elsevier, 2006.